Born in Budapest, Hungary in 1930, Soros survived both Nazi occupation and communist rule before emigrating to London in 1947 to enrol at the London School of Economics (LSE). Unlike titans such as Carl Icahn – a former student of medicine – Soros focused on finance early on in his life, and four years after his graduation year (1952) he moved to New York where he took a position at Wall Street brokerage firm, F.M. Mayer. 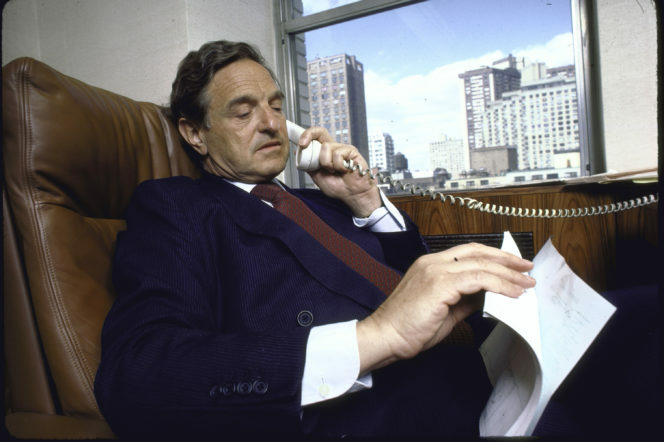 He then later worked as an analyst and investment manager for Wertheim & Company and Arnold & S. Bleichroeder, and in 1973 set up his own hedge fund (the Soros Fund, then renamed the Quantum Fund and later the Quantum Fund Endowment) with around $12m of backing from investors. 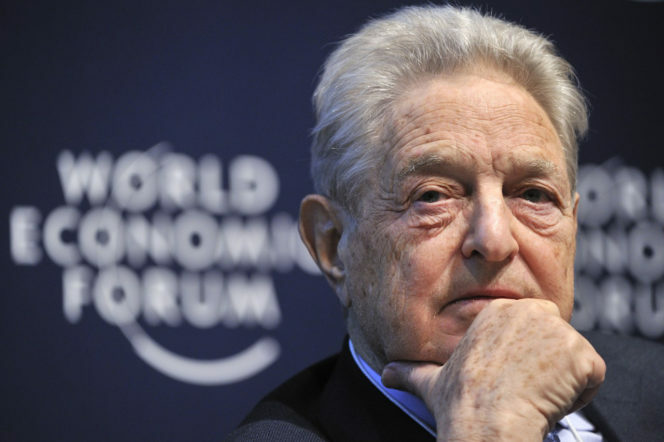 Slowly, with Soros at the helm, the company and its various iterations became one of America’s most prominent hedge funds and reported average annual returns of more than 30 per cent; in two separate years, it claimed to have gained more than 100 per cent. 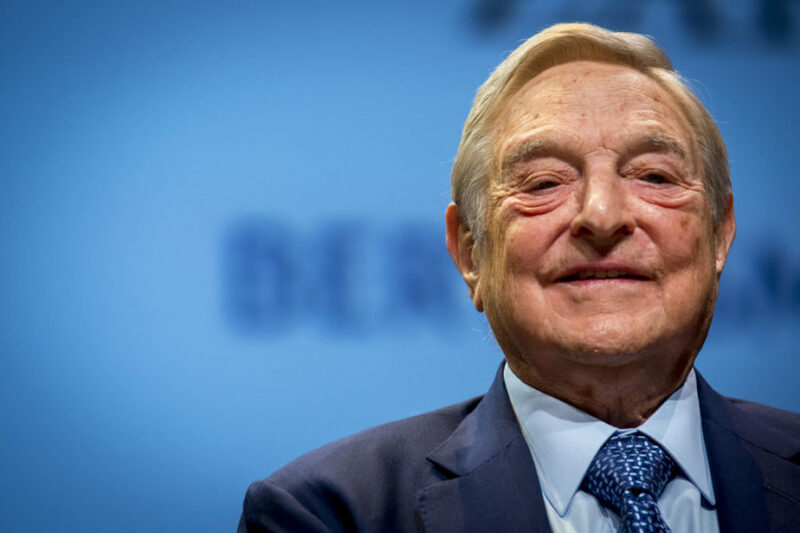 Thanks to the success of his business, Soros, as of October 2017, has been able to boast a net worth of $23bn and a twentieth-placed position in Forbes’ billionaires list. Beyond his day-to-day workings, one of his most famous moments came in 1992 when he bet against the British pound, broke the English monetary system within a day and reportedly made a profit north of $1bn (a sum which, over time, has almost doubled). 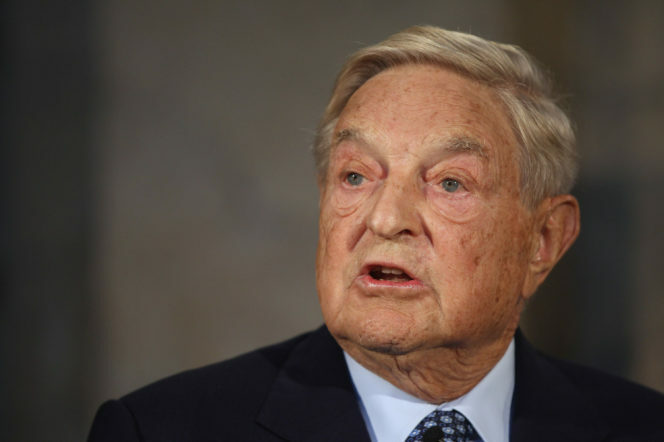 Looking to make further financial gains, Soros emulated this process once more during the Asian Financial Crisis – a move which caused the Malaysian prime minister to accuse the investor of intentionally bringing down the value of his country’s currency by more than 15%. 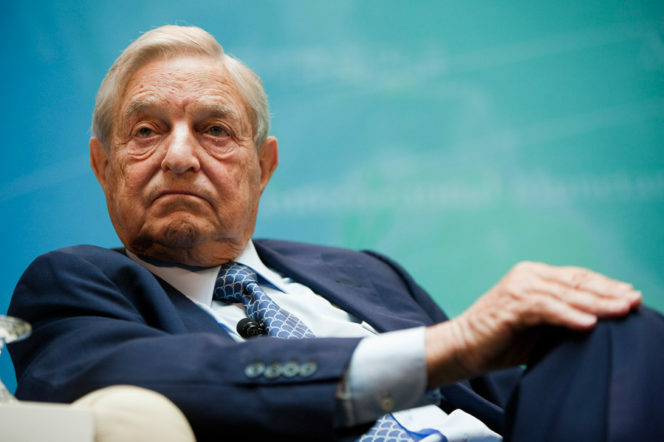 Although famed as “the man who broke the Bank of England”, Soros is also a Rorschach test made flesh for the politically-engaged in the US: to the left he’s a man who’s funding morally-correct causes; to the right he’s a sinister symbol of liberal wealth gone wrong. And despite having been victim to right-wing conspiracies during the Nineties, it was, however, in 2004 when he became the true focal point of conservative propaganda, due mainly to the fact he began funding groups who tried to block George W. Bush’s reelection bid. Coupled with his decision to publicly oppose the Iraq war, this was a move that inspired the American right to spin theories that Soros was attempting to influence the US’ political agenda with malicious intent. The whirlwind of smear campaigns didn’t stop there. While America’s political kingmakers have injected their millions into high-profile presidential and congressional contests, Soros has directed his wealth into several under-the-radar campaigns – notably, he donated $3m to help reshape the American justice system in 2016. However, despite such noble intentions, conspiracists believed this to be evidence of further scheming. Since then, right-leaning publications such as Brietbart have often accused Soros of paying protestors at last year’s March for Science and Women’s March, whereas other sites believe that he’s colluding with the global elite to bring down the world economy. Daniel Greenfield, a right-wing commentator, also claims that the 87-year-old tycoon is attempting to covertly take over the world and make it more liberal. 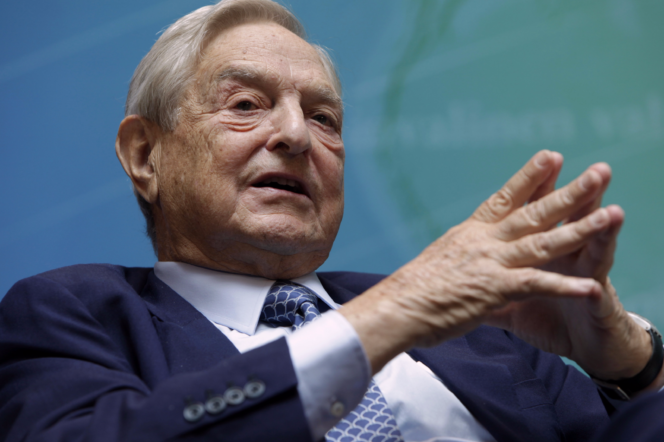 Beyond American shores, Soros is also seen with suspicion by right-leaning countries. The president of Hungary, for example, has passed laws that will try and shut down a progressive Soros-backed university in Budapest. While the opposition accuse Soros of secrecy and undercover clandestine activity, the titan’s philanthropic organisation, The Open Society Foundation, has been anything but quiet in its desire to better the global climate. Working in 140 countries worldwide and with expenditures close to $14bn over the past three decades, the company works to advance democratic and progressive practices throughout the world: just last year, it spent approximately $81.7m on human rights movements and institutions, $57.2m on health, $89.6m on justice reform and more. “I occupy an exceptional position. My success in the financial markets has given me a greater degree of independence than most other people. This allows me to take a stand on controversial issues: in fact it obliges me to do so,” he states on his website. Today, Soros remains an investment behemoth through his work with Soros Fund Management (his family office that has a total of $26bn in assets) and, unsurprisingly, he’s still the source of inspiration for many conspiracy-minded sites – just last year, Infowars ran a video piece titled “George Soros Is About To Overthrow The US”. But, despite the attacks against him, Soros is still focused on developing liberal democracies and fighting political and economic injustices across the globe. “I think you can say I’m quite lucky with my enemies. It makes me feel more than ready to fight back and stand up for what is right,” he told the Financial Times recently. Brave, unflinching and committed to bettering society, Soros is truly a man in touch with the times.